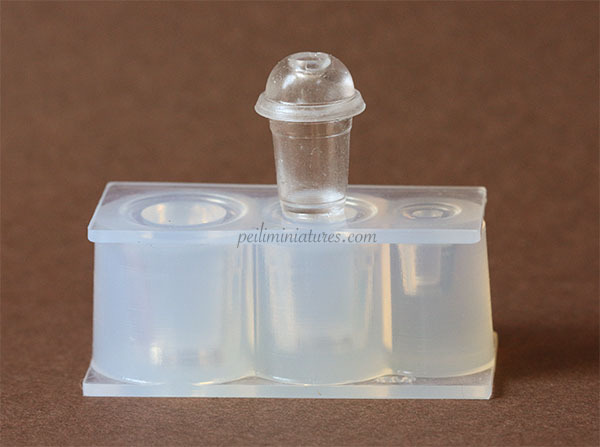 The dollhouse miniature soft drink cup mold is back in stock again! 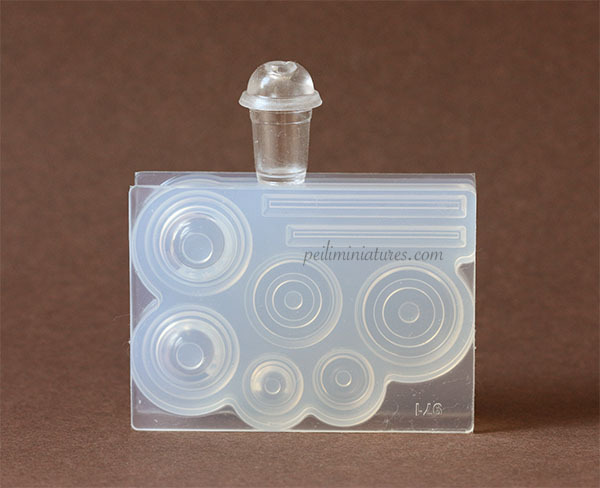 So is the dollhouse miniature soft drink cap and straw mold. Both were sold out shortly after their release, and finally I have re-ordered them. Although it is named soft drink mold, you can certainly also make iced coffee, iced teas with it. As for the caps, there are basically 2 types of cap you can make. One is the dome shape cap as you see in my picture. The other is the flat cap. 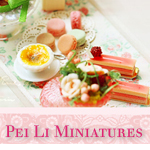 This entry was posted in Dollhouse Miniature Supplies, Dollhouse Miniatures and tagged dollhouse miniature molds, flexible clay mold, miniature clay food mold, miniature supplies. Bookmark the permalink.